What made me want to get into coaching is the excitement and confidence I gained as a young track and field athlete. Running and training for my sport taught me many things such as dedication, passion, patience, and hard work. From high school I knew I wanted to pursue coaching and sport in some shape or form. 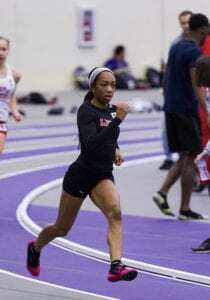 My passion lead me to Lewis University in Romeoville, IL where I majored in Sports Management and competed as a D2 Track and Field athlete. The opportunity to coach and watch my clients grow as I’ve known myself to, is the most fulfilling part of coaching for me. Sharing my passion and excitement for training and the growth that comes from dedicated work is my highest goal as a coach. I love working with clients of all ages and fitness levels and will adapt programming to fit each persons individual needs. The most important part of coaching is building a relationship with each client. The Coach client relationship is the most valuable tool I have to move each client toward their own personal goals. I have prepared myself with experience to take on a greater role in coaching. Working in a physical therapy setting and coaching younger children has shown me the importance to incorporate injury prevention methods into training all of my clients. Lets get started with a free consultation today to see how I can help you reach your potential!